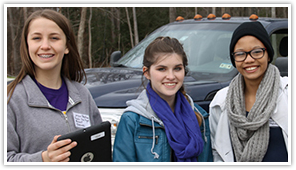 We develop innovative educational programs, and create hands-on learning opportunities that focus on environmental conservation and historic preservation. 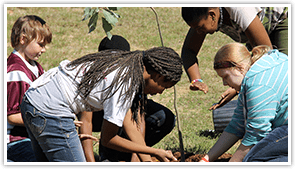 We support efforts that revitalize communities and sustainability generated by the community, and local resources around Jefferson, Texas. 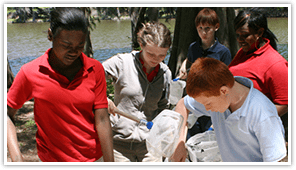 Interactive educational program connecting students and scientists studying the reintroduction of the paddlefish to Big Cypress Bayou. A walkable, outdoor learning park along the river, focused on habitat restoration and environmental education. 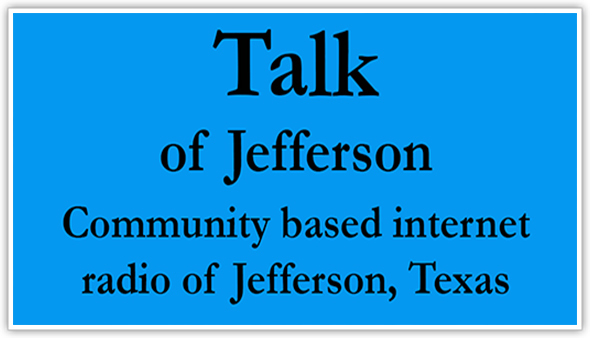 The Talk of Jefferson is an Internet based radio station designed to promote history & tourism within the Jefferson, Texas area. Content will be coming from local story tellers of all kinds. Upcoming events, program highlights and community news.